I'm back. After two weeks of family vacation the Neff Zone is once again open for business. Whether this is good news or bad news is your call. I began my vacation right here in Cadillac during the Festival of the Arts weekend. As my family shopped downtown Cadillac, I took a break to engage in one of my regular activities – counting vehicles running red lights on Mitchell Street. Sitting on a chair at the corner of Mitchell and Harris on Friday afternoon, July 20, I observed seven vehicles run the red light in just eleven minutes (2:30-2:41 pm). Mind you, I did not count the cars caught under the light as it turned from orange to red. I only counted those when the light had clearly turned red BEFORE they barreled through the intersection. Seven scofflaws in eleven minutes in the middle of a busy day! Now you know why I have stopped trying to cross Mitchell Street on my daily walks. At my age I am not fast enough to dodge death wagons. According to Motley Fool, a nationwide trucker shortage may be partly to blame. 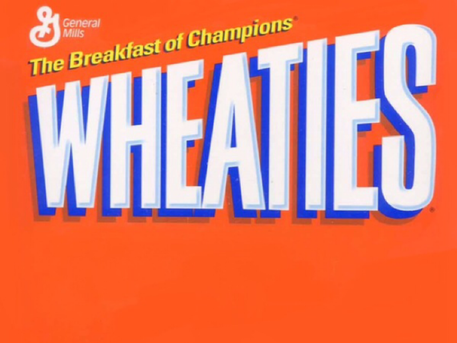 “The skyrocketing freight costs – what it costs to get all those crunchy flakes into stores – is increasing the cost of the cereal as well.” I am still trying to figure out why the trucker shortage affects Wheaties deliveries but not deliveries of Cheerios. Then again, I am not a high-paid CEO. The school's superintendent notes: "With today's technology, it makes so much sense, from the practical standpoint and financially. The eLearning days will enable the district to operate with a firm calendar in 2018-19. Any eLearning days will count toward the 180 school days required by the state.” Anyone who has ever seen a three-year-old work an iPad should take notice that eLearning days might be of value in snowy northern Michigan. If you have a few miles on your life odometer, when people talk about all this new-fangled technology they might as well be speaking Slobovian. See, you remember the days when school shopping did not involve Chromebooks, cloud storage, Snapchatting, whizbanging or zipadeedooing. School shopping meant stocking up on stuff like looseleaf notebook paper, #2 Ticonderoga pencils, index cards, a protractor, a wooden ruler, and maybe even a bottle of ink. When you tell your grandkids about this they will probably roll their eyes and call you an old fogey. I have a comeback for you. They may have names for all the new technology do-dads, but now you also have a technology term for those those school items you used back in the day – RELIABLE TECH. Finally, and I saved this for last because I did not want you to freak out, I am compelled to inform you that summer is officially over. I know this because last Sunday I found the first of the Octoberfest beers on the shelves of Cadillac stores. I was duty bound to sample same, purely in an effort to do scientific research for this column. I am happy to report that an 80 degree (supposedly) summer day is a surprisingly apt time for Octoberfest. I await the arrival of the Halloween pumpkin brews, probably sometime around Labor Day.